Amid the danger of World War Two’s London, Kate Mayhew is returning from another hopeless round of the theatrical agents. She is about to take a job in munitions when a poster about a missing child prompts her to help the war effort in a very different way. Obsessed with finding out what has happened to young Sidney Brentwood, Kate journeys to rural Wales where the boy was last seen. Aided by land-girl Aminta and the dashing young archaeologist Colin Kemp, Kate stumbles upon clandestine activities unknown to the War Office. The mystery of Sidney’s disappearance is the key to a plot that may vitally endanger the security of Great Britain itself. Kate must both solve the conundrum, and act before it’s too late. 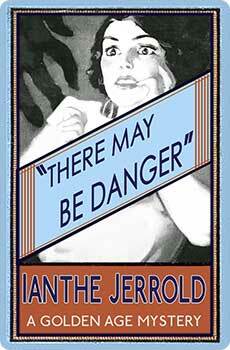 There May Be Danger was first published in 1948, and was the last mystery novel by Ianthe Jerrold. 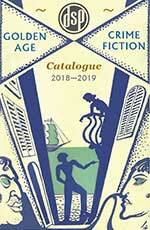 This edition features a new introduction by crime fiction historian Curtis Evans.